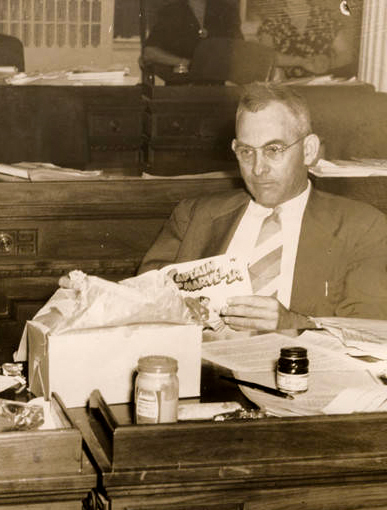 Phenix City attorney Albert Patterson (1894-1954) was murdered soon after his victory in the Democratic primary for Alabama attorney general. His death sparked a crackdown on organized crime and corruption in the city. He also served as an Alabama state senator from 1947 to 1951.